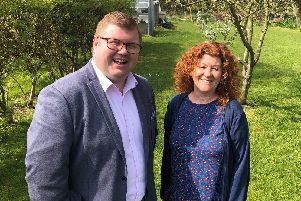 A Northumberland MP has submitted a motion calling for a full independent investigation in the wake of serious allegations against the county council by a property developer. Ronnie Campbell, the Labour MP for Blyth Valley, has submitted the Early Day Motion (EDM) following the claims made by Lugano over its Dissington Garden Village proposals and last year’s withdrawal of the core strategy – a key planning document. The company has made a number of allegations about ‘unlawful’ efforts by the leader of Conservative-run Northumberland County Council, Peter Jackson, and others to prevent its controversial project, for 2,000 homes and other facilities near Ponteland, from going ahead. It has sent two letters to all county councillors detailing its allegations, which have been refuted. The council said it was ‘appalled and quite frankly astounded’ that Lugano had publicised them in this way. The authority also said it was taking legal advice and that ‘it would be inappropriate at this time to address publicly the many inappropriate, untrue and defamatory statements’. EDMs are formal motions submitted for debate in the House of Commons. However, very few are actually debated, but they allow MPs to draw attention to an event or cause. So far, it has been supported by just one other MP, Labour’s Dennis Skinner, but it has nonetheless been welcomed by Lugano’s chairman, Richard Robson. Lugano has called for an independent investigation of its claims, adding that it wishes to continue working with the council on the project, and this request for an inquiry has been backed by opposition councillors. Leader of the Northumberland Labour group, Coun Grant Davey, said: “The actions of Northumberland County Council since May 2017 and its partners need to be independently investigated. MPs are demanding it and it’s clear lots of residents have an interest in how their money is being spent. “Lugano has sought to make transparent how decisions which are affecting their commercial interests are being taken within the council yet they have had their concerns dismissed without any explanation. However, Coun Nick Oliver, the cabinet member for corporate services, said: “This is yet another pathetic attempt by a large developer with deep pockets to influence the proper planning process by making spurious claims.